The J Edgar Hoover building in Washington DC has stood since 1975 and took almost 10 years to complete. The planning for the building started during the Kennedy administration and had been much debated by politicians and employees of the FBI. 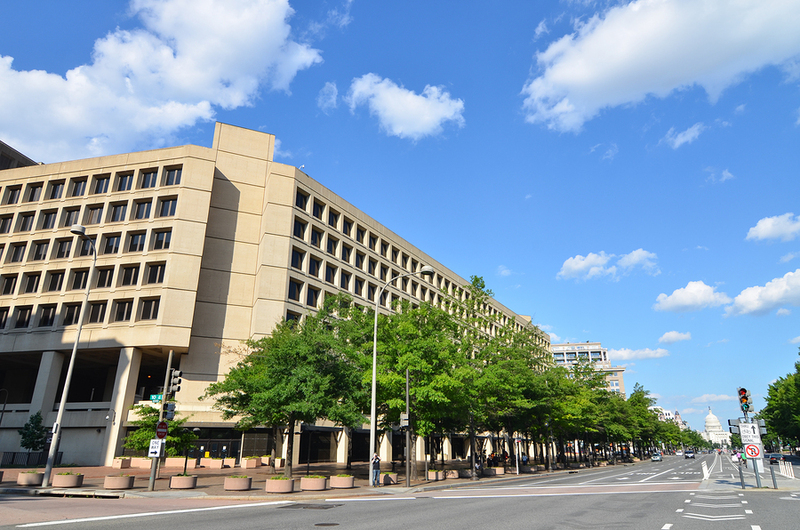 The Federal Bureau of Investigation as we know it was established in 1935, but had existed prior to then. It was known as the National Bureau of Criminal Identification when it was established in 1896 and went through a number of name and purpose changes. The assassination of President McKinley in 1901 spurred this agency into action, as the people of America called for protection. At this time, anarchists were their primary target but this has also changed throughout the years the organization has been active. In the early 1900s, their priorities included policing the White Slave Traffic Act and prohibition. There was a great deal of bureaucracy over whether it would be a federal body and what power it would have. J Edgar Hoover served as the director of the FBI for almost 50 years throughout the 1900s and took the bureau through its most difficult times. Part of his legacy was the establishment of the Scientific Crime Detection Laboratory, which still continues to work to this day. Their war on crime of the 1930s saw the group arresting notorious criminals like John Dillinger and Ma Barker. The FBI have always skirted the line between national security and invasion of privacy. There were a number of landmark cases against the body as they resorted to counter espionage techniques. The Communications Act of 1934 banned the use of wiretaps without a warrant but continued to allow the use of bugging techniques. During the Second World War, they protected the United States from spies from Germany and Nazi sympathisers. The movie, Bridge of Spies, was based on one of their most famous escapades with spies and this has led to a resurgence in interest in the bureau. Now the FBI uses counter intelligence to protect the country against terrorist attacks with an increased vigilance in recent years. Their role within American society is much questioned and debated by those on both sides of the fence. They can be viewed as a snooping organization or a last bastion against terror, depending on the individual. Their headquarters can no longer be toured in the wake of increased risk of national security but they can still be viewed from the outside. The iconic building is one of the sights to see while you’re in the city, as it is a major part of American culture. Check out the building on one of our tours, as we cover all of the hot spots in DC in our luxurious coaches – so you can sight see in style.